Know when someone spies on you! Ever wondered if an application records audio through your Mac’s built-in microphone without your knowledge? Or if the camera captures video for no good reason? With Micro Snitch there’s no doubt anymore. 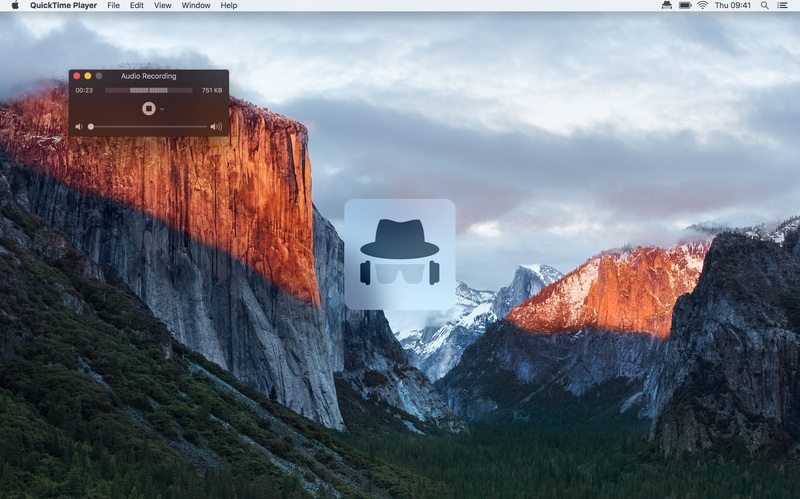 This ultra-light menu bar application operates inconspicuously in the background. It monitors and reports any microphone and camera activity to help you figure out if someone’s spying on you. Fair enough, you might see the camera’s indicator light, but what if you are away from your computer? And for the microphone there is no activity indication at all, so you won’t notice if the microphone is turned on even if you’re sitting right in front of your Mac. With Micro Snitch you always know whether some app is currently using your microphone, and its logging facilities allow you to reveal any suspicious activities later on. Track if someone is watching you. 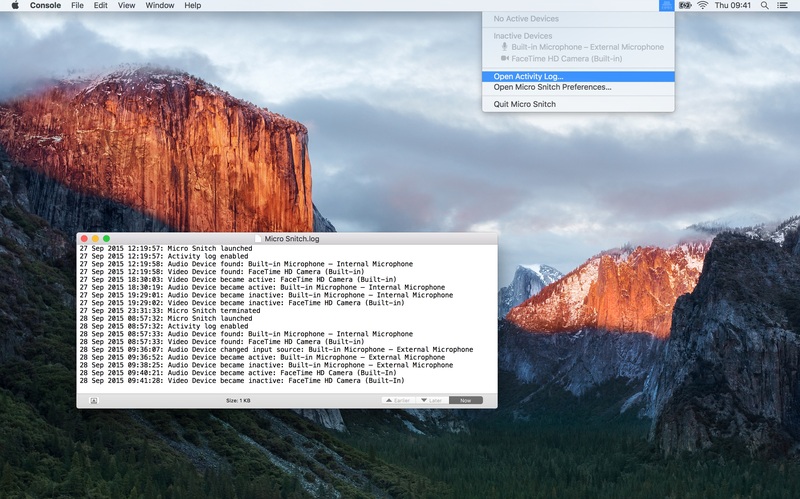 Any current microphone or camera activity is displayed in the menu bar. The menu also shows a list of connected audio/video devices. An on-screen overlay is shown while the microphone or camera is turned on to make sure you won’t miss it even if the menu bar isn’t currently visible. Never miss any microphone or camera activity, even in your absence. Every status change is logged to a file, so you can review it later to find suspicious activities. Follow Micro Snitch on Twitter to get informed about new versions, tips and other news.